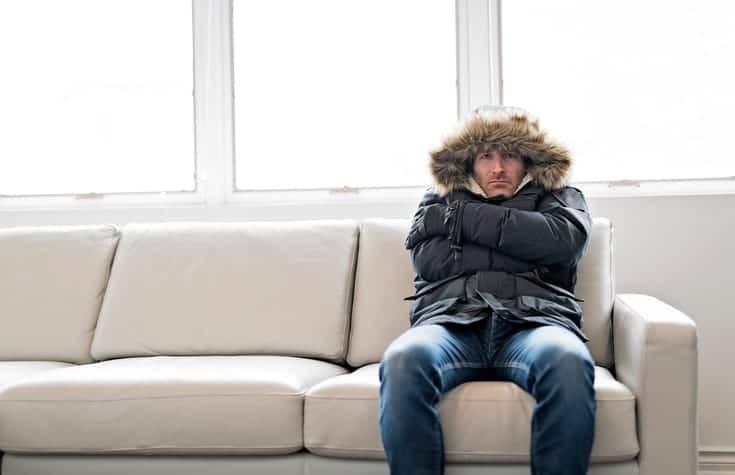 It is hard living in a home that is constantly cold even when the furnace is running through multiple cycles. Aside from the uncomfortable indoor temperatures, you are definitely paying a lot more than you should for your energy bills further compounding the problem. The first place to start when figuring out why the house is so cold is to make sure that the furnace is working properly. If you have confirmed that the heating and cooling system is functioning properly, then the answer is simple; there is cool air finding its way into your home from outside and/or warm indoor air is escaping outdoor. Why this is happening precisely is an entirely different question. Draughts are easy to diagnose since you can feel the cold air on the skin or blowing away small pieces of paper or a candle flame. Even a small gap through which cold air from outside enters the house can make a significant difference in indoor temperature. Some of the most common culprits include keyholes, letterboxes and doors. You can install slipcovers over keyholes and drought-blocking brushes under exterior doors and with some even made for mail slots. Inspect the condition of the weather stripping on your door and replace old or worn stripping. The glass is a terrible insulator and lets out warm air while letting in the cool air especially on traditional windows. Super-insulated windows, Energy Star rated windows and triple pane windows are a worthy investment that keeps the heat loss to a minimum. These upgrades can be costly so cheaper measures such as sealing gaps and leaks along the window edges with caulk and installing heavier drapes that extend beyond the window frames are good, cheap alternatives. Insulating film over the windows is an equally cheap and easy option but keep in mind the windows won’t open unless you are willing to break the film. If properly installed, this film is almost invisible. You may have forgotten about your radiator vents when arranging the furniture and inadvertently blocked some of your vents. This may also be a good time to remove your radiator vent covers since they reduce the unit’s energy efficiency and block some of the much needed warm air from circulating in the living space. This step also goes for all vents for heating and cooling systems. Although it would be ideal to install or upgrade all insulation including in your walls and floors, updating your attic insulation alone can make a tremendous difference in energy efficiency and retaining heat inside the house. You could be losing upwards of 50-percent of heat produced in the house via the ceiling and out through the roof. Make sure that your attic insulation is of the proper R-Value for your area and climate but you can hardly go wrong with R-50 and above. Professionally installed insulation will give you the best returns over the long term. With the possibility of cutting your heating costs by anywhere from 10-50 percent, the cost will more than pay back itself over the years. 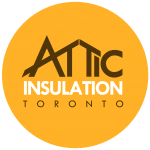 Attic Insulation Toronto can help you choose the most energy-efficient option in your budget range to maximize your savings over the long-term. Professional installation also guarantees that you get as close to the advertised R-value as possible since improper installation can seriously reduce the material’s ability to do its job properly. The fireplace may be keeping you warm in the cold winter months but it could also be letting cold air in when not in use. Cold air from outside comes in through the vents. There are multiple solutions for this problem including installing glass doors or panel and keeping it shut when the fireplace is not in use. You can install vent covers or draught excluders but be sure to remove them when the fireplace is in use. The chimney needs to be unobstructed when in use to properly vent carbon monoxide, smoke and other dangerous gasses. It is difficult to figure out exactly why your house doesn’t heat up as it should give the number of possible causes. Attic Insulation Toronto dispatches an expert to thoroughly inspect your home and note all the potential causes for your cold house before making a full report on the most effective and cost efficient ways to deal with the issue.